Conventional weight loss strategies don’t work for everyone. If you’ve tried exercising and eating healthy and have seen limited results, you should make an appointment with Dr. Borislava Johnson. As a naturopathic doctor, she can help you identify additional contributing factors that might be causing your weight issues at her practice serving Cypress and Northwest Houston, Texas. 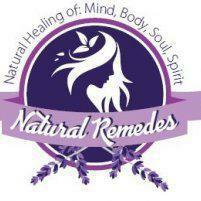 Call Natural Remedes today or book your consultation online. Why can’t I lose weight loss? How can you help me lose weight? Dr. Johnson helps men and women lose weight with a tailored detoxification program. She uses a unique assessment process to customize the program to your specific body, tackling any underlying health issues and paving the way for effective weight loss. The weight loss program detoxifies all of the organs in your body, starting with your brain. Your body has a much easier time letting go of excess fat after detoxification. After the detox, Dr. Johnson provides a maintenance regimen to prevent further toxification. In addition to the detoxification process, Dr. Johnson also provides nutritional counseling and supplementation, stress relief guidance, and fitness advice to support your weight loss efforts. When you lose excess weight, you decrease the pressure on your joints and bones. In addition to these mechanical benefits, weight loss provides cardiovascular and metabolic benefits, lowering your risks of chronic disease. If you have diabetes, even a small 5% decrease in weight can lower your blood sugar, decrease blood pressure, and reduce cholesterol levels. A 10% weight decrease lowers your risk of diabetes, heart attack, stroke, dementia, and certain cancers. When should I see a doctor for weight loss? If your weight starts affecting your health or ability to perform daily functions, you should consult with Dr. Johnson. You should also notify her if you’re overweight and at risk for diabetes or heart disease, or if you have a family history of these conditions. If you’re having trouble losing weight despite your best diet and exercise efforts, make an appointment with Dr. Johnson to assess the underlying cause. Call or use the online scheduler to book a consultation.